We have reached the start of the Easter vacation, and the Spring term came to a splendid close last week with the Murray Lecture 2016! Professor Patricia Rubin, Judy and Michael Steinhardt Director at the Institute of Fine Arts, New York University, delivered a wonderful talk entitled ‘Bent Elbows, Bare Bottoms, and Bending Meanings: Shifting Perspectives on Viewing the Male Body in Art’, to a packed Clore Lecture Theatre. Professor Rubin’s focus was Donatello’s David, but her deep and insightful analysis took us all the way from Dante through to 1970s Soho! It was great to see so many familiar faces in the audience: members of staff; retired colleagues, such as Professor Francis Ames-Lewis; the Trustees of the Murray Bequest who generously support this biennial event; interested academics from across London and beyond; and a very wide range of students, past and present. As well as lots of current students from our Certificate, BA, MA and MPhil/PhD programmes, I spotted many who have graduated from those courses in recent years amongst the audience. The best represented cohort in the room, however, was definitely those taking Dr. Monica Bohm-Duchen’s level 6 module, ‘Art and Scandal in the Modern Period’. They’d been scheduled to have a class at the same time as the Murray lecture, but had agreed to move it to 7.30pm, so they could all come and see Professor Rubin’s talk! Here’s an image of the poster I secreted in my bag at the end of the evening, to brighten up my office wall. ‘Birkbeck Careers and Employability is a service created and designed specifically to support our students in the unique environment the University offers. We offer a wide range of activities to enhance your prospects both during and after your study. We run a programme of workshops throughout the term, have a daily drop in service in Malet Street and provide access to a 24/7 careers portal accessible through your MyBirkbeck profile. We’re also proud that we have excellent links into industry and frequently have employers here on campus. That could be for a one off event, an ‘employer in the foyer’ drop in visit or attending one of the two careers fairs we’re running across this year. On this subject, I also want to alert you to a very useful new page on the website, recently created by my colleague Dr. Fiona Candlin, on ‘Volunteer and interning opportunities in museums and galleries’. It provides some useful general information about volunteering and internships, and also details of some current opportunities. I’m going to hand over the final part of this blog to Anna Jamieson, currently on our part-time MA History of Art programme, who’s written a wonderful account of the route that brought her to study in the department, and about her experiences in her time with us. But, before I do, I’d like to wish everyone a restful and productive Easter vacation – and send particular good wishes to those BA students engrossed in the final stages of their dissertations! ‘My decision to study at Birkbeck happened rather quickly. In fact, it didn’t really feel like a conscious decision at all! I’d been thinking about continuing to postgraduate study ever since graduating in History/History of Art from Leeds in 2011. I was working full time for a London based art fair, and felt that, to return to study, a radical life change was in order. I would have to quit my job, which I loved, and find a cheaper place to live. But when I saw the details of the part-time History of Art MA in the Birkbeck prospectus, I realised it was more manageable than I thought. I could pay the fee each month and coordinate the classes around my job (one lecture or seminar a week was far more feasible than I’d imagined). I put an application together, sent it through and found myself nervously meeting my fellow students in our first class, one late September evening. What I’ve enjoyed about Birkbeck most is the broad scope of topics that the History of Art MA allows. For someone like me who sometimes finds it hard to find an academic focus, it’s proved ideal. I was able to study Holocaust memorials in Germany and Austria during our first term – a subject I’d studied during my BA – before developing some of these ideas in my summer Research Project, where I dipped my toes into archival research and met some amazing London-based curators and librarians. I took Suzannah Biernoff’s ‘Exhibiting the Body’ module, focusing on the unsettling anatomical models of ‘wax Venuses’: technically medical instruments, but with highly sexualised bodies, parted lips and gendered accessories. Last Autumn, I embarked on Tag Gronberg’s module on fin-de-Siecle Paris, and wrote my essay on the domestic interiors of the fascinating Edouard Vuillard and the balance between intimacy and spectacle within his paintings. These topics may all seem quite detached, but throughout the course I’ve been able to find underlying themes and theorists that link them together. I’ve now started writing my dissertation on ‘Dark Tourism’ in eighteenth-century London. At times, balancing the MA with my job has admittedly been a challenge. Having to decline an invitation because I just knew I had to be at the library was, at first, difficult, but, in time, my friends and family got used to the fact that I wasn’t as available as I’d been before. I ended up starting a new job in Development at a central London gallery, a twenty minute walk from Birkbeck which meant I could grab a book in my lunch break or pop in for an hour after work. After a few months, my employers allowed me to work four days a week in order to focus on the course, which helped enormously. I was amazed when they agreed to reduce my hours; it just proves that you never know how flexible your work might be unless you ask. The end of the Spring term is fast approaching! Only two more weeks to go, and there’s frenetic activity in and around Gordon Square as the Easter vacation looms. One of my main concerns in this blog is to let you know about upcoming events, organised by my colleagues in the department of History of Art, and I have a record number to tell/remind you about today! 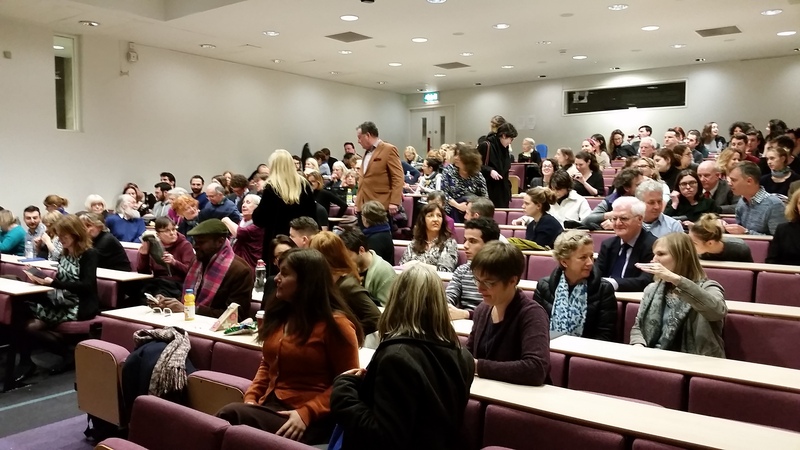 Many of the seminars, lectures and conferences which members of staff organise are associated with the Research Centres based in the School of Arts. There’s the Architecture, Space and Society Centre, which held its final event of the term last Friday, when Owen Hopkins came to talk about his new book on Nicholas Hawksmoor. There’s also the History and Theory of Photography Centre, hosting its last seminar of the term this coming Wednesday (9th March, Clore Lecture Theatre, 6-7.30pm). Dr. Jennifer Tucker will be giving a paper entitled ‘Picturing Modernization: Vision, Modernity and the Technological Image in Humphrey Jennings Pandaemonium’. Jennings’s Pandaemonium: Coming of the Machines is a scrapbook compilation of writings from 1660 to 1886, that he collected and annotated between 1938 and his death in 1950. Dr Tucker will be exploring the nature and significance of Pandaemonium as a source in the long history of the visualization of modernity, considering the ways in which science and technology, through the Industrial Revolution, not only shaped the natural and industrial topography, but also informed ideas, language, perceptions, emotions and imagination of the inner landscape. Jennifer Tucker is an historian from Wesleyan University in Connecticut, but she is also currently a Visiting Fellow with the Birkbeck Institute for the Humanities, until April. This Fellowship scheme allows Birkbeck to host visits by academics working in the broad field of the Humanities from other institutions across the world, involving them in the research activities of the College, fostering important collaborations. Jennifer works on areas of great interest to many colleagues, especially those engaged in research on photography, and the Victorian period. Her first book, Nature Exposed: Photography as Eyewitness in Victorian Science (2006; in paperback, 2013) explored the history of debates over photography and visual objectivity in Victorian science and popular culture. As a Fulbright Scholar in the History of Art at the University of York a couple of years ago, she conducted research for her second book-length project, which she has recently completed: Portrait of a Gentleman: The Great Tichborne Trial in the Victorian Visual Imagination. Also on Wednesday (9th March, 6.30-8pm, Keynes Library), colleagues will be running a panel discussion on ‘Memory and 7/7 at Tavistock Square’. They will be considering the plans to memorialise 7/7 at Tavistock Square, and the possible consequences of these plans for the square’s other memorial traces and markers. 7/7 shook the community at Birkbeck. Two of the bombs on that day exploded a short distance from the College, and one killed a Birkbeck student named Benedetta Ciaccia, studying towards her Foundation Degree in Computer Science. The panel will bring together some of those who were first on the scene and later investigated the bombings, with those responsible for the recent memorial campaign and a number of academics working in the field of memory studies. The event participants will include Philip Nelson, Chair of the 7/7 Tavistock Square Memorial Trust, and David Videcette, former 7/7 Scotland Yard Investigator and Crime Novelist, as well as Dr. Gabriel Koureas from the History of Art department, and Dr. Silke Arnold de Simine from the Department of Film, Media and Cultural Studies. If you would like to attend, then please reserve your place on eventbrite. A couple of the events forthcoming before the end of term are of particular note for those working on and interested in the Renaissance period. 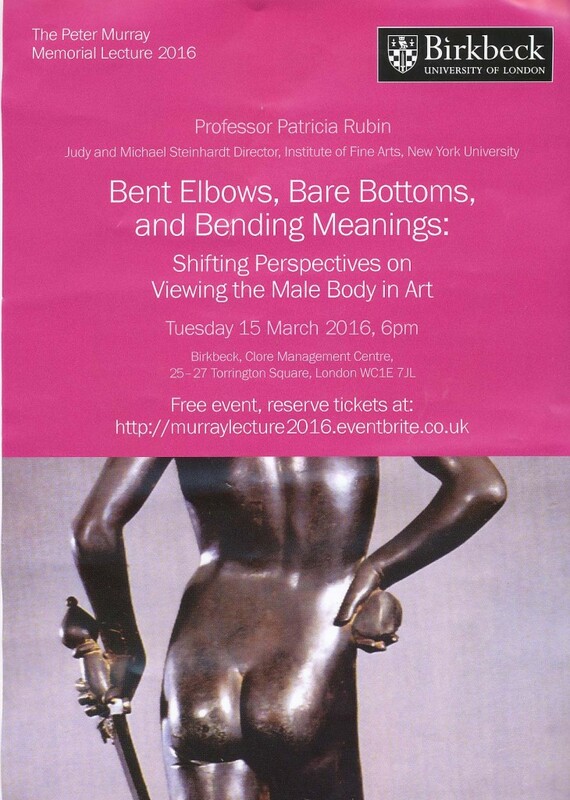 Next Tuesday (15th March), of course, we have the Murray Memorial Lecture, when Professor Patricia Rubin will be talking about ‘Bent Elbows, Bare Bottoms, and Bending Meanings: Shifting Perspectives on Viewing the Male Body in Art’, Do book your free place if you haven’t already! In addition, the final in the series of Murray seminars on Medieval and Renaissance Art will be given tonight (7th March, 5pm, Keynes Library) by Dr. Paula Nuttall, speaking about dance and low-life subjects in work by Verrochio. 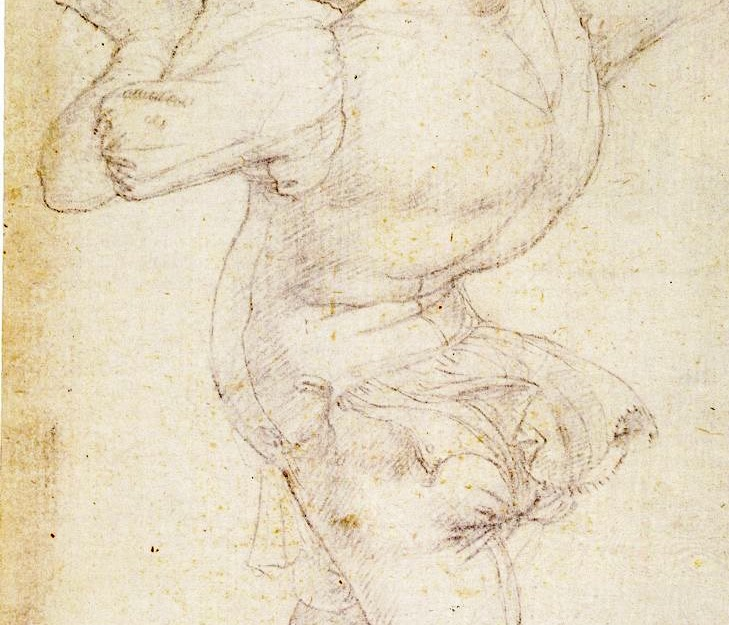 Dr. Nuttall will be looking at Verrocchio’s startling drawings of dancers performing a renaissance dance known as the moresca. Considering the drawings’ relationship to northern imagery and to contemporary Florentine vernacular culture, she will bring new insights to these and other depictions of ‘low life’ subjects. It’s a full diary! There’s also, of course, (plug, plug) the conference on the Georgian London Town House which I’ve co-organised with the National Gallery next Thursday, 17th March. But I want to end with a reminder to our current MPhil/PhD students, about the forthcoming meeting for anyone interested in organising the summer postgraduate conference (scheduled for Friday 24th June 2016). This conference, being generously being supported by the London Art History Society, is a great opportunity to get involved in planning, organising and running a research event. Professor Lynn Nead, as Postgraduate Tutor, will be working with a steering group of research students, to devise the programme and timetable. Students at all stages of their doctoral research (although perhaps not those just about to submit their PhDs! ), working on all periods and all types of art, are warmly invited to come along to the meeting with Lynn on Monday 14th March, room 222 in Gordon Square. If you are interested, and would like to attend this meeting, then please do get in touch with Anthony Shepherd, the Postgraduate Administrator.